The regenerating blend of organic aloe vera with ylang ylang and patchouli helps to revive skin. 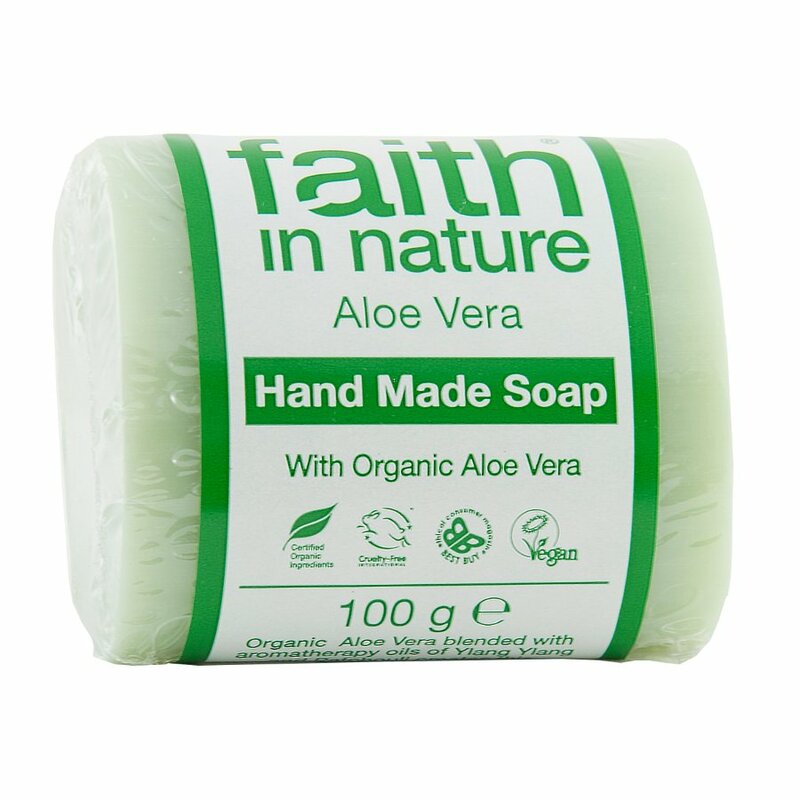 Soothing and aromatic this vegetable soap from Faith in Nature has a low pH to gentle cleanse and tone your skin without drying it out. Pure - No artificial colour fragrance preservatives or whitener. 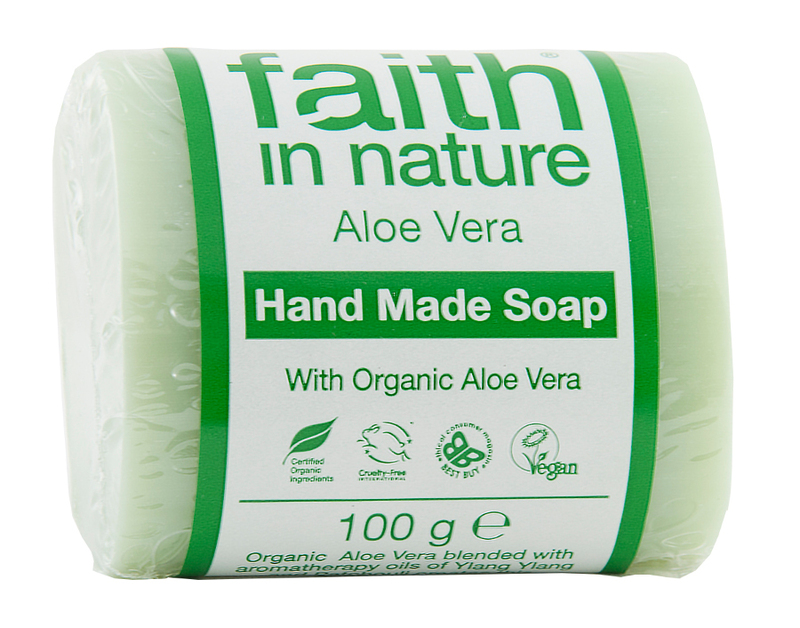 There are currently no questions to display about Faith in Nature Aloe Vera & Ylang Ylang Soap - 100g.